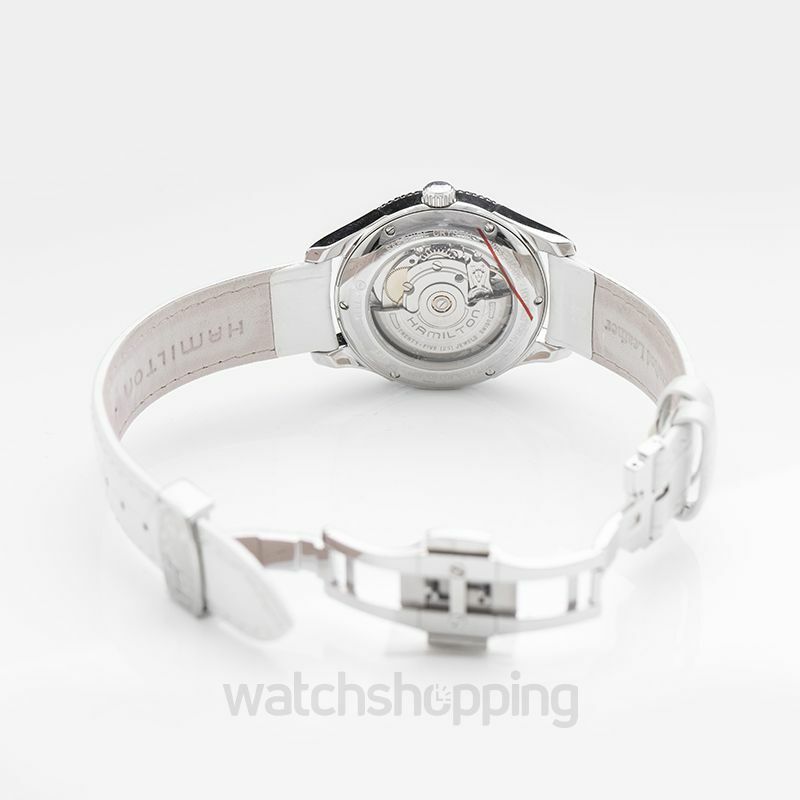 The Jazzmaster series by Hamilton features a number of masterpieces not only for men but also constitutes a number of elegant and unique timepieces that would perfectly grace a feminine wrist. This model from the series is one such example, portraying itself as an amalgamation of high functionality and uncompromised classy looks, making it the perfect accessory to uplift any female attire. 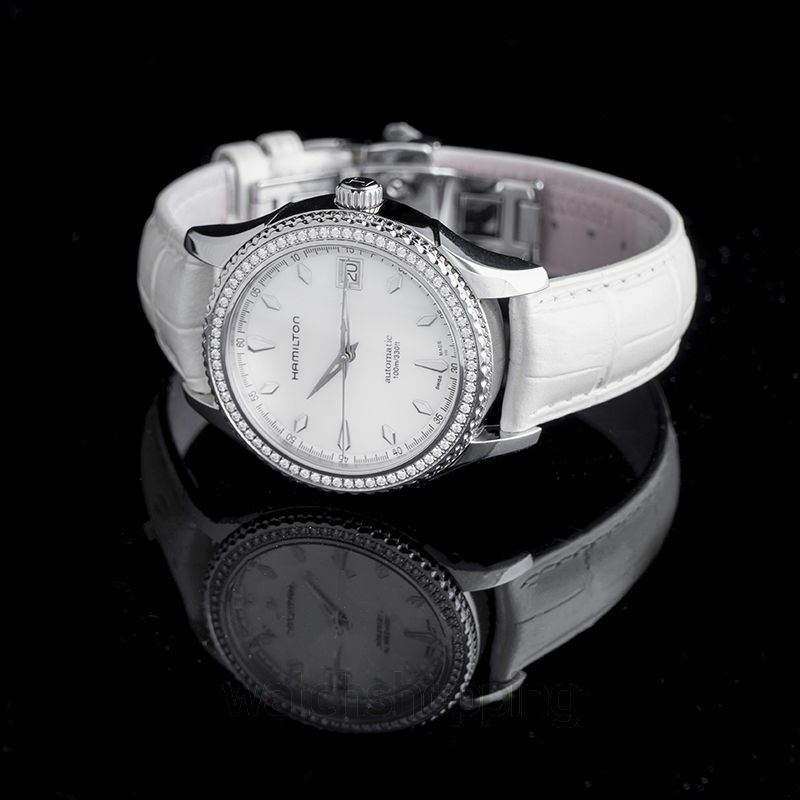 The all-white look of the watch, along with the diamond-studded bezel that frames the elegant dial gives this watch an aura of luxury and style that has not been matched by any other.